The Wood family a major force in the development of Staffordshire wares from peasant pottery to an organized industry, they were a celebrated family of potters. Ralph Wood 1715-72 "the miller of Burslem"
Ralph Wood Jr. 1748-95 (Aaron's son) through his mother he was related to Josiah Wedgwood. 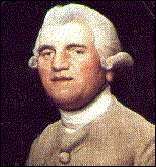 John Wood 1746-97 (Ralph Jr.'s brother) - In 1787 John started his own pottery at Brownhills. Ralph Wood III 1781-1801 .. continued the firm after his father's death. William Wood 1746-1808 (Aaron's son) was employed as a modeler by Wedgwood. Ralph Wood: In 1730 he was apprentice to John Astbury, and later worked with Thomas Whieldon at Fenton Low, learning the manufacture of coloured glazes. By about 1760 Ralph Wood was making extremely well-modeled figures with coloured glazes. Subjects were in great variety; the best is probably the equestrian "Hudibras" glazed in manganese and orange. The "Vicar and Moses appeared at this time and enjoyed great popularity. Wood was among the first of English potters to impress his name on his wares (Specimens made by the Woods, father and son, are sometimes impressed with a name, R. WOOD or R. WOOD BURSLEM). He is credited with introducing the Toby jug, his first model of the kind being "Toby Philpot" about 1762. Aaron Wood: was apprenticed with the Thomas Wedgwood, Jr., firm from 1731 to 1746, when he left to work with Whieldon. He opened his own pottery four years later. Ralph Wood Jr.: produced many figures, both from his father's molds and from new ones of a variety of subjects. His figures were coloured with enamels instead of glazes, and many were impressed with the mold number in the base. An extant invoice shows him supplying figures to Josiah Wedgwood in 1783. Enoch Wood: was apprenticed with Wedgwood for a time and later with Humphrey Palmer. By 1783 Enoch was established in Burslem as an independent potter in partnership with his cousin Ralph Wood, and in 1790 he entered a partnership with James Caldwell, when the style of the firm became Wood & Caldwell. In 1818 Enoch Wood continued alone, under the style Enoch Wood & Sons. The firm made all the wares that were current in Staffordshire at the time, including black basaltes, jasper, and probably porcelain. Large quantities of blueprinted earthenware were produced, much of which was exported to the United States. Busts modeled by Enoch Wood himself are fairly numerous. The Wood factory closed in 1846.